GHL Bank has held an intensive two-day summit for all its Real Estate Clubs to train students across the various tertiary institutions in the country on the fundamentals of wealth management in the real estate sector. The Real Estate Club was established in line with the bank's commitment to nurturing young people and equipping them with the knowledge of good financial management and the approaches to quality life and future. This year's summit brought together over 50 student representatives from its branches in the University of Ghana, Legon, University of Professional Studies, Kwame Nkrumah University of Science and Technology (KNUST), University of Cape Coast, Ashesi University and Ghana Institute of Journalism. The students were taken through various interactive sessions to equip them with knowledge on the transformation within the business and reiterated the need to plan and work towards a comfortable future. Richmond Asante, Head of Mortgage Origination, explained that the Real Estate Club initiative was to break the myths about the difficulties with proper life planning among the youth while empowering them to make the best financial decisions to grow to become responsible comfortable adults. Samuel Ntow Affum, Head of Retail Banking at GHL Bank, in a presentation, stated that it was possible to start small and live comfortably in future. Since its establishment, the Real Estate Club has been used to fill the knowledge void by increasing awareness of career developments and investment opportunities in the real estate industry for young people. The representatives from the institutions were given a chance to speak on their expectations on participating in the summit and Real Estate Club in general. 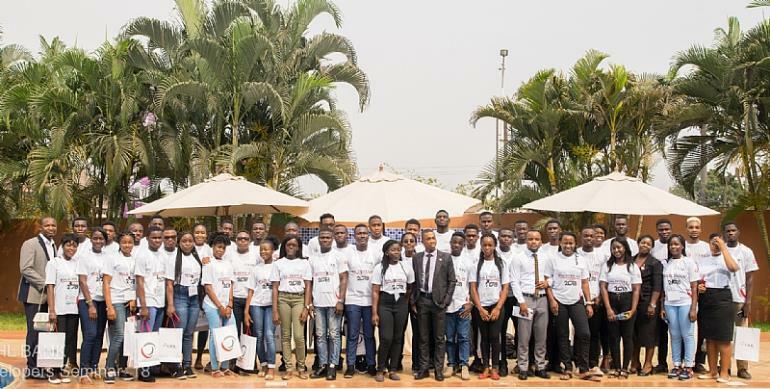 As part of the summit the students were taken on a tour of the re-modelled head office of GHL bank and then a visit to the estate site of two developers in Accra to get first-hand information on the estate facilities and its environment.